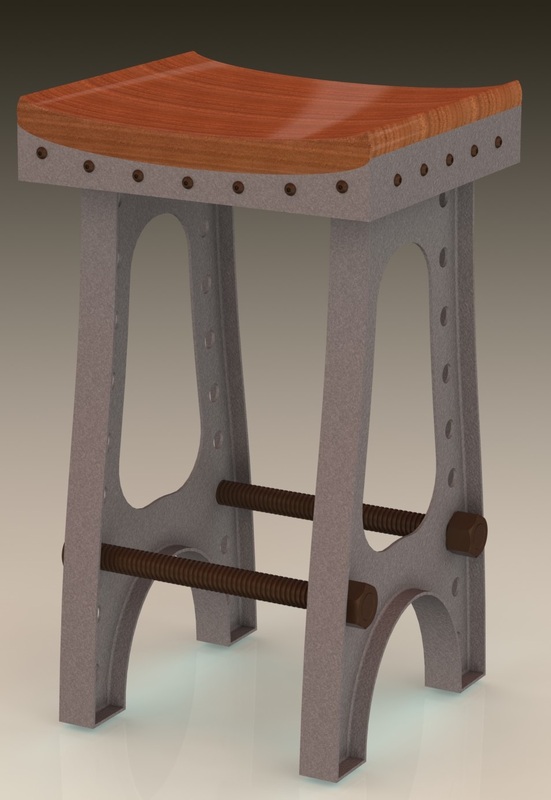 I like the look of this stool. The legs look like something that came of our local bridge (Vilsundbroen) which was built from 1937 -1939. The seat is mahogany, what wood are you using to look like the metal frame? I’ll cut it out of 1/8″ steel plate, then bend 1.5″ x 1/8″ flat bar into the outline and weld it to get the I-beam effect. It looks good but will it be heavy? I don’t think so, but it depends on your definition of “too heavy”. I’d guess it would weigh 10 to 15 pounds, which I think is fine for something like this.